This past fall, I was blessed with the opportunity to review the book My Beloved and My Friend by Hal and Melanie Young of Raising Real Men. It’s a wonderful book that seeks to help Christians strengthen their marriage so as to testify to God’s love. I really loved so many aspects of the book and plan to re-read it again this year to help me with my own attitudes towards my spouse and how I conduct myself. 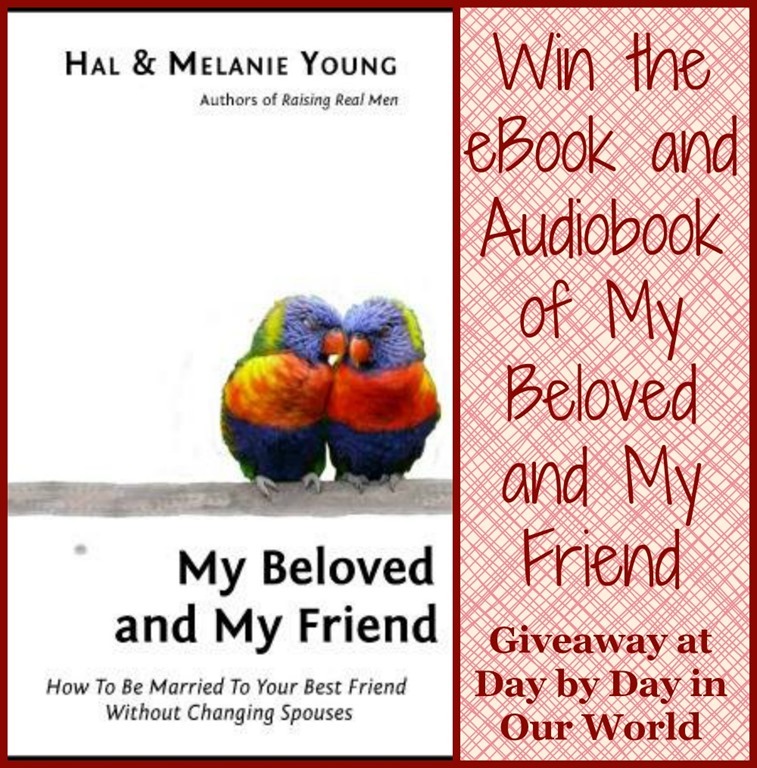 I am happy to be giving away a copy of My Beloved and My Friend in ebook format as well as the audiobook to one reader. The value of this package is $40. Entries are accepted through the Rafflecopter form below until Sunday, February 15th. The winner will have 24 hours to claim their prize. Communicating more than just about what the children have been doing.